Helping you design a fleet fueling program that works for your company. operators. Acme gives you friendly local service benefits plus total US coverage. APPLY NOW! Under 10 minutes! Fast Fuel is proud to offer air miles. Earn air miles as you fuel. With Fast Fuel and Alaska air miles, you’re going places! APPLY FOR YOUR FUEL ACCOUNT IN JUST MINUTES! Fast Fuel offers exceptional customer service and reliability. Your account is handled in house by our experienced customer care team. Fast Fuel is a division of Acme Fuel Company, family owned since 1925. We are part of the CFN (Commercial Fueling Network) and Pacific Pride networks of 24/7 automated cardlock and retail fueling stations. Our CFN cards are accepted at over 57,000 locations in the US and Canada, and our Pacific Pride cards are accepted at over 2,300 locations in the US and Canada. As a Fast Fuel Customer you are covered no matter where you go! Fast Fuel operates two CFN (Commercial Fueling Network) locations in Olympia, WA. Our Olympia stations offer competitive pricing, both regular gasolines (E10 – with 10% ethanol) and Gasoline with no ethanol (clear gas or pure gas), and all of our gasoline is Top Tier™. We also offer premium diesel for your cars and trucks. We have high volume diesel pumps for large trucks. At our downtown site we sell off road diesel and Diesel Exhaust Fluid (DEF) for newer diesel vehicles. Air and Water is available by coin or credit card. Save 10 to 15 cents per gallon with our Fast Fuel card. See FAQ’s for more information on fuel products. Fast Fuel will help you choose a program and customize the fuel management report to fit the specific demands of your company. Our professional and experienced specialists offer efficient, streamlined, and money-saving solutions to keep your fleet rolling. Ask us about our air mile rewards for business accounts! Give us a call or send us an email for a no-cost consultation to learn how we can design a Fleet Fueling Program that works for you! Call 855-208-2843, email ffinfo@acmefuel.com or apply online now! Your monthly invoice/fuel management report gives you complete records, by vehicle, all your fueling activity…date, time, fuel type, location, miles-per-gallon and taxes paid. It’s great for expense reimbursement and fleet management. If you have a large fleet with drivers that switch vehicles, the optional floating-card system tracks which drivers are driving which vehicles. You can limit the products (regular, mid-grade or premium gasoline, or diesel), fueling hours of the day or days of the week, and gallons per fill maximums for your FAST FUEL cards. It’s great for controlling employees’ fuel usage. With your CFN or Pacific Pride card you have access to over 59,300 fueling sites nationwide, including many retail sites such as Chevron, Texaco, and Pilot. 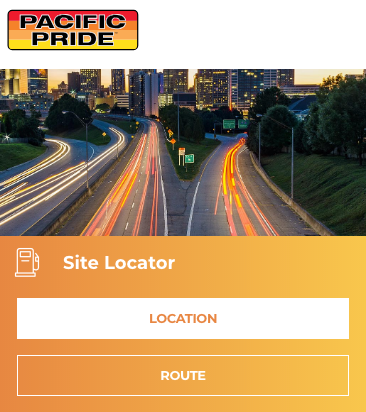 Visit the CFN Site Locator or Pacific Pride Site Locator websites, or download the apps for Android & iPhone to your smartphone! Commercial stations offer easy access and plenty of room to maneuver any size truck, bus, motor home, or travel or boat trailer. CFN is the first card purveyor in the industry to establish fraud protection for fleets. Fraud Protection is one of the many advantages afforded to you as a CFN Fleetwide cardholder. 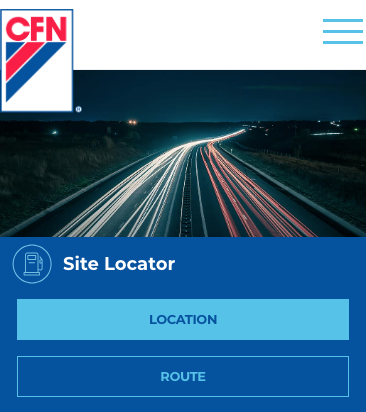 This unique benefit is another example of why the CFN Fleetwide card is the clear choice for business owners and fleet managers across the U.S. and Canada.